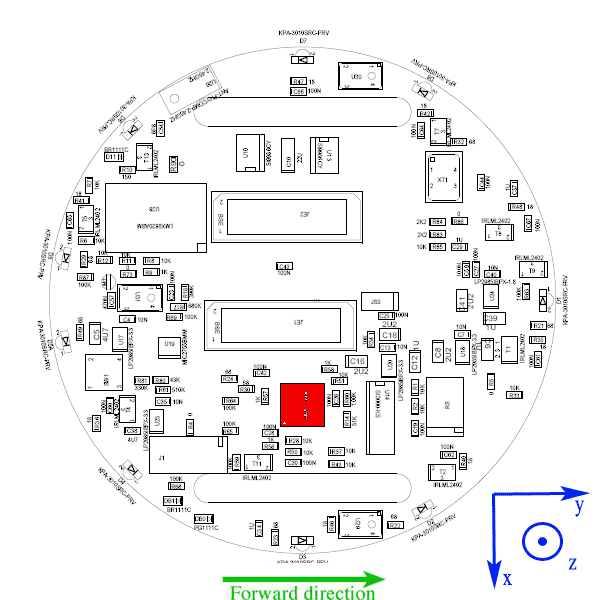 When the robot moves, the steppers motors perform a given number of steps per seconds. 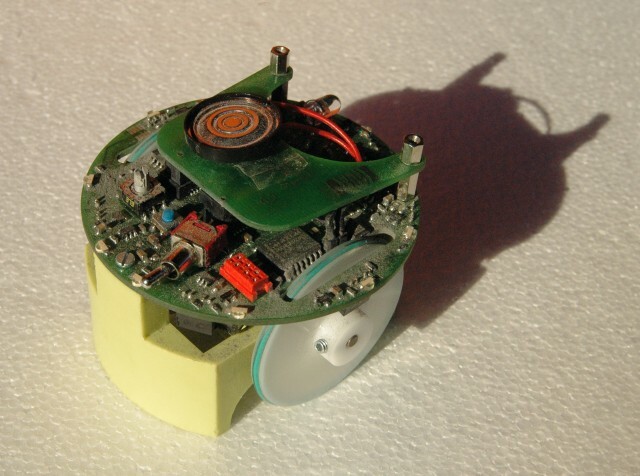 At each step there is a strong micro-acceleration and micro-deceleration of the robot. 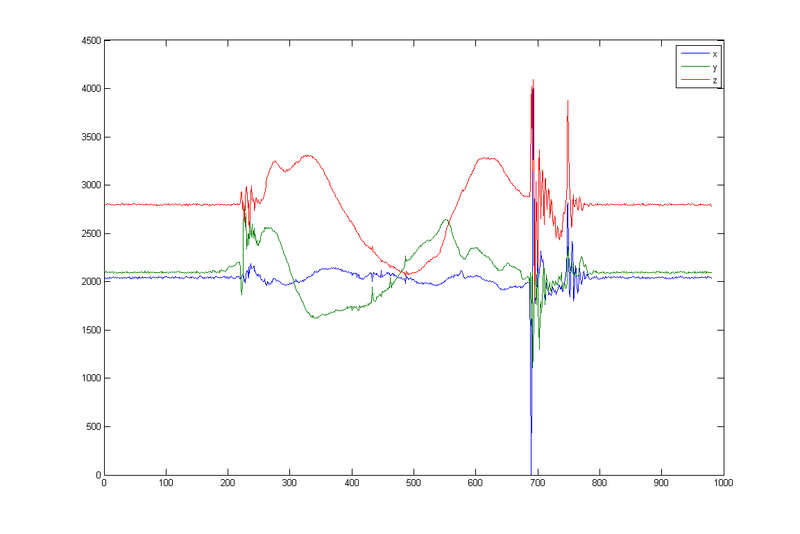 Next figure shows the acceleration measured by the accelerometer and due to the stepper motor when moving at 70steps/s. Sampling is made at 7kHz. 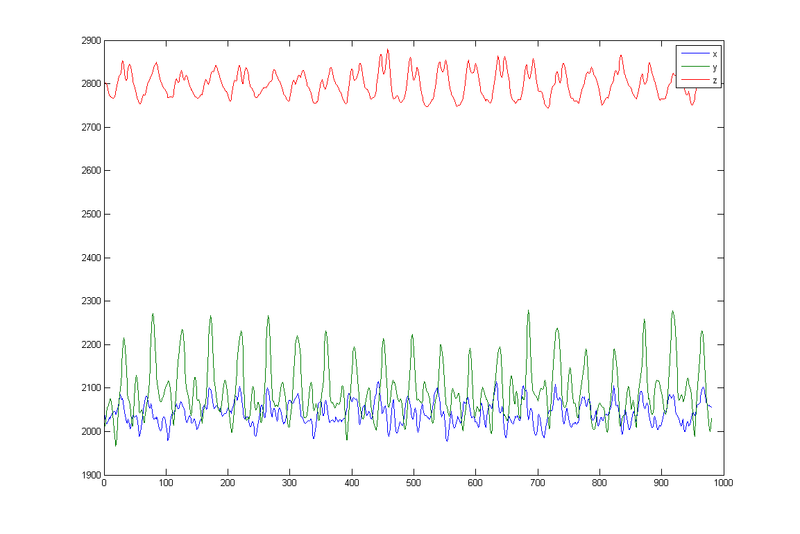 On the X axis there is the sample number. 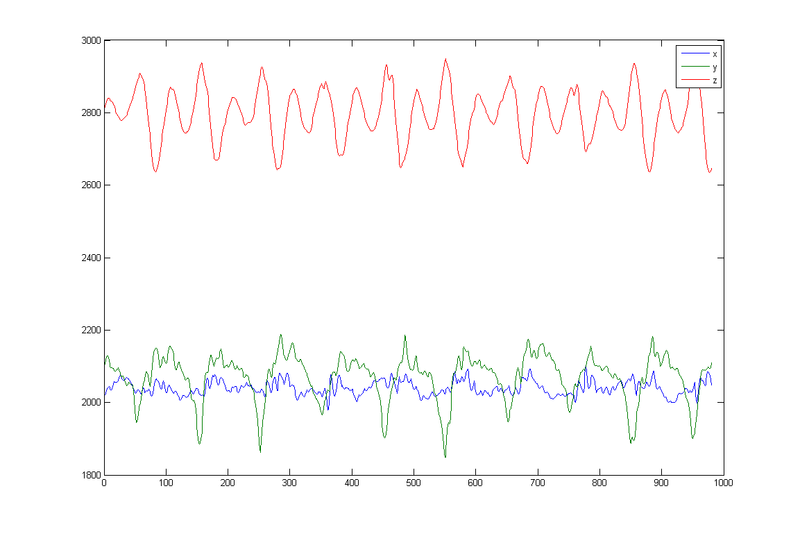 Next figure shows the acceleration due to the stepper motor when moving at 150steps/s. Sampling is made at 7kHz. 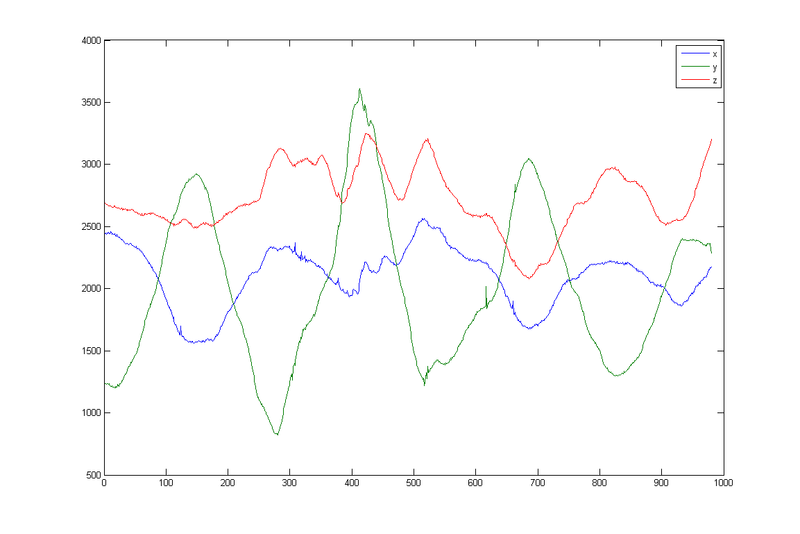 On the X axis there is the sample number.